2 of 3 Place diced tomatoes, tomato sauce, pepperoni, onion, garlic, Italian seasoning and vinegar in slow cooker. Cover and cook on HIGH for 2 hours. 3 of 3 Sprinkle mozzarella on top of tomato mixture. Cover and cook until cheese melts, about 15 minutes more. 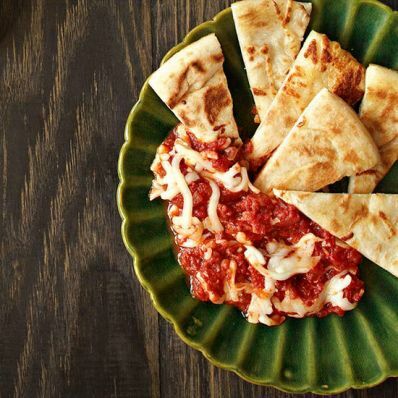 Serve with toasted Boboli wedges.